Who Does the Amex Gold Card Appeal To Most? Decision Time: Is the Gold Card from American Express Right for You? Credit cards can be very worthwhile to keep in your wallet. In modern times, credit card companies have begun offering customers really great rewards options. There are various different types of rewards credit cards on the market now. You can find a rewards credit card for virtually every purchase category that someone would care about. If you love going out to eat at restaurants, then a rewards credit card that will allow you to earn money for eating out is certainly going to appeal to you. You may want to look into the Amex Gold Card and see everything that it has to offer. This is a credit card that offers some great rewards potential for those who are capable of using it right. If you eat at restaurants on a very regular basis, then this might be the perfect addition to your wallet. We are going to take a look at the Amex Gold Card from every angle so that you can see what it has to offer. This credit card has proven to be a popular option for many dining enthusiasts. Is this card going to be right for you? Keep reading, and we will find out the answer to that question together. Right away you are going to see that there is a large annual fee attached to this credit card. You will need to pay a $250.00 annual fee in order to make use of this credit card. That is automatically going to limit its appeal for some people. If you do not like to pay large annual fees, then this credit card may not be for you. Even so, this credit card can make up for the high annual fee for those who are going to use it often enough. It is possible to earn much more in rewards money than the cost of the annual fee. It just depends on how often you spend money on dining out. Just know that this fee is going to be a factor in determining whether or not this card is for you. You will not have to worry about any type of foreign transaction fees when you use this credit card. It is always nice to be able to avoid annoying fees whenever possible. 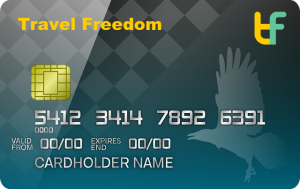 If you need to use this credit card while you are abroad, then you can do so without fear. Being able to enjoy those fine restaurants across the world will be a very good experience overall, and there will be no extra fees that will sour the experience. Otherwise, there are not any fees that are really worth mentioning in regards to this credit card. It will offer you a fairly standard experience when it comes to balance transfers, late fees, and other expenses. The APR is fairly average for a card of this tier, and it does not offer any type of a special introductory rate. Most of the features that you will be enjoying on this credit card are related to its rewards program. We will be discussing the rewards program in detail later. It is worth mentioning that this card does have a good introductory bonus. It is not so amazing that it will make you want to sign up all by itself, but it is certainly worth talking about. As is standard practice for these welcome bonuses, you will need to spend a certain amount of money in the first three months of being a cardholder. The money must be spent in certain qualifying categories as well. Once this requirement has been met, you will be able to get a pretty good chunk of points. These points can definitely help to justify the annual fee, and it will be a good start for anyone who loves earning rewards. 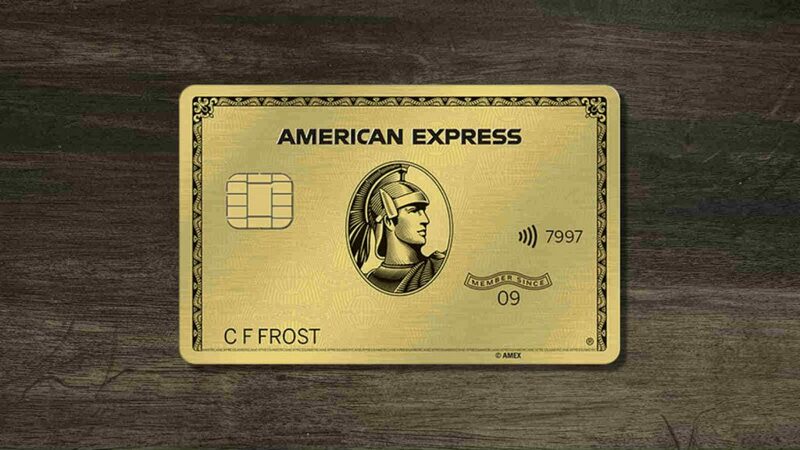 The Amex Gold Card actually has a number of different benefits that will make signing up even more attractive. For example, you will be able to take advantage of several special credits. You can make use of a $100.00 airline fee credit that you can use to pay for baggage fees and in-flight purchases. The only caveat is that you need to choose an eligible airline in order to be able to use your credits. Another available credit is the annual dining credit. You can earn up to $10.00 in statement credits every month when you use your card to buy things at participating dining partners. Some of these dining partners include the Cheesecake Factory and Shake Shack. You have to enroll in this program through the American Express website in order to be able to take advantage of this benefit, but it is well worth doing. It could mean an extra $120.00 a year in statement credits for you. Booking a hotel room through the Amex Hotel Collection is going to come with certain benefits too. You will be able to receive a $75.00 credit to use toward dining, resort activities, and spas on the property. You'll also be able to earn 2X rewards points on this purchase, so it will be worthwhile to use your card to book your hotels through the Amex Hotel Collection whenever it is possible. Hotel visits need to be at least two nights or longer in order for this beneficial credit to kick in. Cardholders will also be able to rely on baggage insurance to help improve their overall traveling experience. Luggage that is damaged, stolen, or otherwise lost is going to be protected by this great benefit. You are going to be eligible for up to $1,250.00 in coverage for your carry-on baggage, and checked bags will be covered for up to $500.00. This rewards program is going to be the big selling point of this credit card. Amex Gold Card members will be able to earn 4X rewards points on US restaurant purchases. It may be a bit disappointing to some people that the increased rewards potential is limited to restaurants in the US. Even so, this is a very high rewards rate that can help you to earn a lot of rewards over time. You will also be able to earn an increased rewards rate for purchases made at US supermarkets. You can earn 4X rewards points for purchases made at US supermarkets. This is capped at the first $25,000 that you spend in a year. After spending $25,000, you will be earning rewards at a 1X rate. Cardholders can also earn 3X rewards points on airfare that is purchased directly through the airline. This makes it a pretty reliable travel credit card. This card hits many bonus categories that are going to be appealing to you. Whether or not this card is going to be a perfect fit will depend on just how well you can make use of these bonus categories. Redeeming rewards is a great experience with this credit card. You can even transfer the points over to various travel partners. This gives you a ton of different options to consider when you want to use all of those points that you have been accumulating. When you transfer the points to one of the partner businesses, it really allows you to maximize the value of the points. Rewards points can also be redeemed for things such as statement credit, gift cards, and much more. As long as you are willing to experiment a bit with the partner businesses, you should be able to use your points very effectively. This will allow you to really stretch those points out far. It can make it feel like you are earning rewards at a rate that is much higher than 4X, depending on how you use the points. This card truly does have fantastic rewards potential. If you are looking for a credit card that will allow you to earn rewards at a high rate, then this one is going to really pique your interest. The Amex Gold Card is one of the best possible credit cards for both dining and grocery shopping. It helps you to get the most out of your money. Bonus categories that are easy to take advantage of really make credit cards more appealing. You will always need to go grocery shopping, so you will constantly be earning rewards on your monthly expenses. The dining and airfare bonus categories are very helpful, too. This card will be quite useful to many different people. Redeeming rewards is such a great experience with this credit card. You are given so many different options, and there are various ways that you can transfer the points to partner programs. It is possible to get a lot for your earned rewards points. It is one of the best rewards redemption programs around. The beneficial credits that you will be receiving are very useful, too. Being able to enjoy credits to help mitigate airline baggage fees is a nice touch. Receiving statement credit for purchasing food from participating dining businesses is nice, as well. This card offers nice benefits, while also just being a good rewards card. The annual fee of this credit card is still going to turn some people away from signing up. If you do not like the sound of paying a $250.00 annual fee, then you may want to think twice. Even so, this card can earn you a lot more money than $250.00 worth of rewards. Even the beneficial credits can potentially offset this annual fee, so you may not want to let it influence your decision too much. Some people are going to prefer simpler credit cards, too. If you do not like having to worry about bonus categories, then this card may feel convoluted to you. This card should be used for specific things in order to maximize its rewards potential. Some might want to go after a flat rate cash back rewards card instead if they dislike bonus categories. It should also be said that American Express is not accepted in quite as many places as Visa or MasterCard. American Express is a very good credit card company, but it may not be accepted everywhere. Keep this in mind before you sign up. It should not be a big issue, but it could cause a few problems here and there. Lastly, this credit card does not have as many benefits as some other credit cards. If you really like being able to enjoy nice perks for being a cardholder, then this card may only feel so-so in that department. The benefits that are there are quite nice, but it could use something more special such as airport lounge access. Even if the benefits of being a cardholder are only average, this card is still a very good option based solely on the rewards program. If you want to get approved for this credit card, then you are going to need to have a very good or excellent credit score. Those who have a score of 690 or higher should be able to get approved for this credit card. Other factors are going to be considered as well such as income and general credit history. It is always best to check your credit score ahead of applying for a new credit card so that you will know what to expect. A credit card like this actually has a very broad appeal. It is going to appeal to people who eat at restaurants frequently due to that category offering such high rewards potential. If you love trying out new restaurants and you find yourself going to them several times a week, then this card is perfect for you. You will earn an increased reward amount for using this credit card, and it will be easy to benefit from your dining habits. Anyone who is looking for a good credit card to use for groceries will love this card, too. This is going to allow you to earn 4X rewards points at supermarkets for the first $25,000 that you spend each year. Being that most people would never spend that much money at the supermarket in a year, this card will pretty much always pay out the 4X rewards rate on your grocery purchases. You will be able to accumulate rewards points incredibly fast when you use this card. This is a good card for people who like to travel, too. It offers 3X points when you use the card to pay for flights that are booked through the Amex travel website or directly through airlines. This allows you to earn some of your money back when you are going on a trip. This credit card is practical to use in so many situations, and it certainly deserves a spot in your wallet if you can make use of it properly. If you need a travel credit card that is practical in other ways, then this one might be the right fit for you. Finding an alternative to this credit card is something that is somewhat difficult. It does not have many cards that directly compete with it. There are cards that may work out better for certain consumers who would like to avoid the high annual fee. 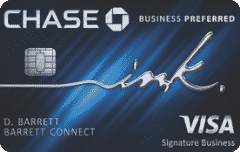 One credit card to consider is the Chase Sapphire Preferred Card. 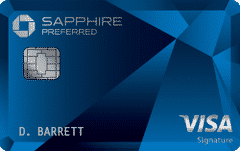 The Chase Sapphire Preferred Card is going to come in with a $95.00 annual fee. You will be able to enjoy 2X rewards points on all of your dining and travel purchases. It may not have quite the same rewards potential as the American Express Gold Card, but it does offer a very good rewards experience. If you want to pay a lower annual fee, then this card will work out nicely for you. The Amex Gold Card is a fantastic credit card that should be in your wallet if you can make use of it often enough. You are going to be able to earn a lot of rewards for your dining purchases, and you can also earn increased rewards on grocery purchases. Even with the grocery purchases being capped at $25,000 per year, this card is going to be very worthwhile. It gives people the potential to earn a very large amount of rewards for using the card in ways that will feel natural. If you eat at restaurants often and if you buy a lot of groceries, then this just might be your new favorite credit card. You do not often see credit cards that offer rewards potential that is this great. Combine that with the good benefits and the lack of foreign transaction fees to get a really appealing credit card. This is going to be a perfect fit for so many people, so don't let that $250.00 annual fee scare you off.